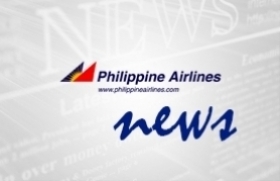 Philippine Airlines will soon operate non-stop flights between Manila and Doha as part of the airline's thrust to enhance its product offering to its primary market on the route - the Overseas Filipino Workers (OFWs). “The non-stop service will give us a better product to offer our market which comprises 230,000 Filipino contract workers in Doha. Aside from the convenience of this direct service, passengers will get to experience in-flight service with the Heart of the Filipino, marked by warmth, care and hospitality.”, said PAL President and COO Jaime J. Bautista. The Manila - Doha service, which commences on March 26, 2017, shall operate four times weekly, every Monday, Wednesday, Friday and Sunday. PR 684 departs Manila at 1:30PM and arrives in Doha at 6:00PM local time; PR 685 leaves Doha at 8:00PM local time and touches down in Manila at 10:00AM. The fleet for the route will be the 414- seater Airbus A330 with economy and premium economy from March 26 to July 14; the bi-class A330, with full-flat beds on business class, will be utilized starting July 15. Passengers will also have the option to enjoy wireless In-flight Entertainment by simply downloading the myPAL Player app for free in order to stream a wide selection of movies, TV shows and music from their personal laptop, tablet or smartphone. myPALWi-fi allows one to surf, browse and keep in touch with loved ones and friends while on board the flight. Full-service inflight offerings include a selection of Asian, Continental and Halal cuisine and a wide array of beverages. Each passenger is entitled to free baggage allowance of two pieces, weighing not more than 23kilos each. If a passenger is continuing onto a final destination beyond Doha, the same free baggage allowance applies. In addition, PAL's' mileage program enables passengers to burn and earn miles for use for future flights. With the non-stop operations to Manila, travelers from the Middle East will now have a direct gateway to the Philippines. Upon arriving in Manila, passengers may conveniently connect to other international and Philippine domestic destinations. Another option is for passengers to enjoy the Capital City (Manila) before traveling to the top travel spots of the country. Domestic flights to Caticlan will enable them to visit Boracay, one of the world's best beaches. Manila – Basco (Batanes) flights will enable them to visit the picturesque virgin land of the northernmost point in the Philippines. Manila - Puerto Princesa (Palawan) flights will allow them experience the underground river cruise and water rafting at the subterranean river national park. PAL's Busuanga flights will lead passengers to Coron, Palawan for some water sports such as snorkeling and scuba diving and for the sheer enjoyment of its lagoons and hotpsrings. They can hie off to the Pearl Farm or to Samal Island's beaches via PAL's Davao flights and experience the resorts and beaches of the Queen City of the South via PAL's Cebu flights. Travelers to Doha, in the meantime, can visit top travel spots such as the Museum of Islamic Arts, the Souq Waqif, the Pearl Qatar, an artificial island spanning nearly four million square meters and the Doha Corniche, a water front promenade along Doha Bay. The city of Doha has a huge number of expatriates including Filipinos, who are considered to have a very good command of the English language and excellent work ethics.